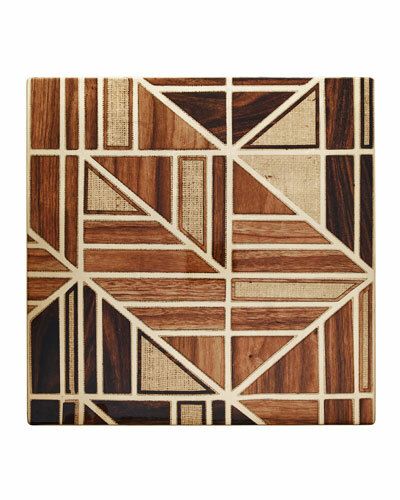 Charm your guests with luxury table linens, napkin rings, and place mats from Neiman Marcus. Our collection also includes a variety of napkins, runners, dining table cloths, and table pads. 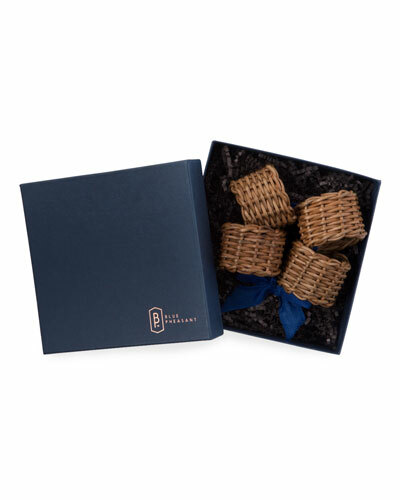 Our linen table cloths and napkins in checks, floral prints, lace work, and solid colors are a must-have. 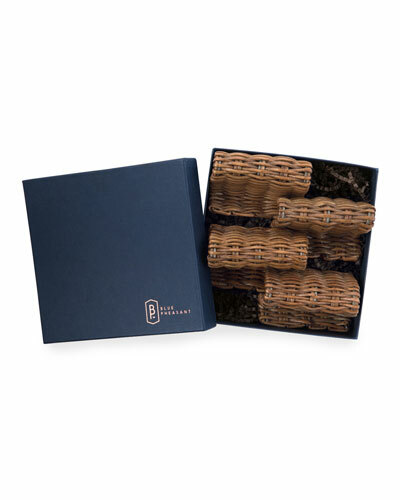 Make a memorable meal by decorating your dinner table with our gorgeous napkin rings. 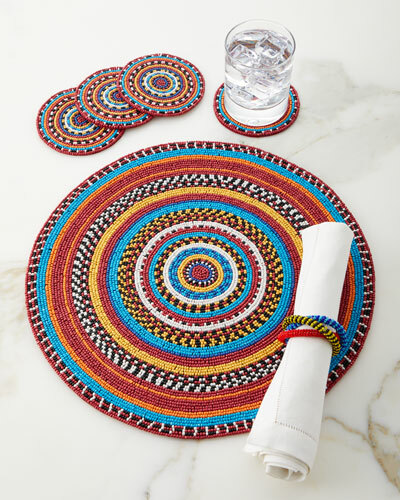 A tablespace cannot be complete without our place mats in fun colors and designs. 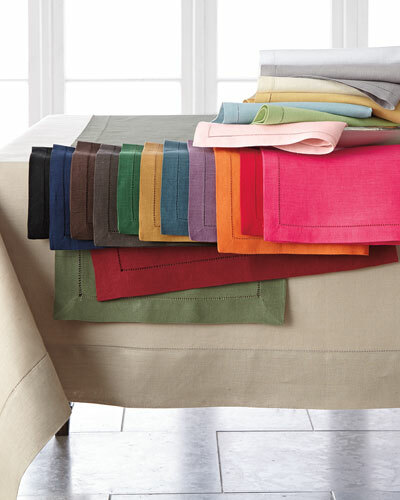 Give your tables an elegant appeal with our designer table linens and other accessories. Shop Neiman Marcus for table linens and more, and set an eye-catching table to start conversations rolling. Braided placemat in jaguar print. Scalloped edge. Nylon braid/acrylic paints. 16" round. Made in the USA of imported materials. Placemat with multicolored swirl pattern. Wood composite with lacquer coating. 15.25"W x 14.25"D x 0.2"T. Imported. Etched goldtone metal placemat. 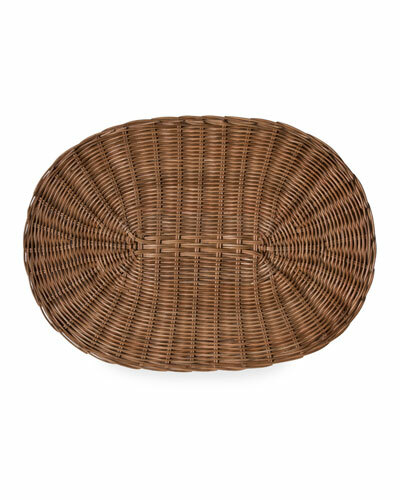 Brass top; wood composite base; felt backing. 15"Dia. Wipe clean. Imported. 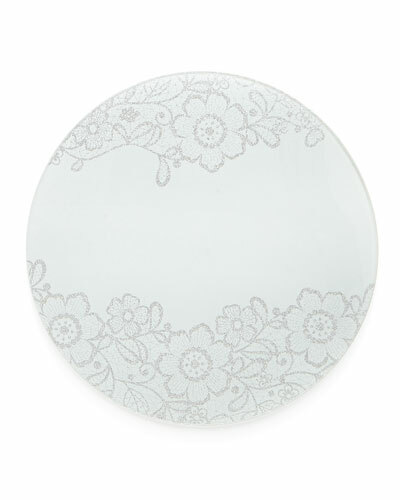 Round placemat in marbleized resin. Cutout brass overlay. Wood composite backing. 15"Dia. Imported.